We're back in full force after a short winter hibernation. With the Arma 3 Tanks DLC in our sights, we look forward to an epic start of the new year! All development eyes are currently on Tanks DLC, and we cannot wait to share more details in the coming weeks! But first, on behalf of everyone here in the development team, we would still like to wish you a Happy New Year! We're incredibly proud of the Arma 3 community, which grew even further and kept getting stronger in 2017. We hope to see this trend continue in 2018! We're also proud to see that Arma 3 made it into two of the 'Best of 2017' lists of games available via Steam: Top Sellers and Top Played! Once again a huge thank you goes out to all of you for your support. We feel honored to be in rubbing shoulders with so many of our favorite games, and it's a privilege to still be able to build upon a platform we've released more than four years ago! One of Arma 3's most popular modifications, the Unsung Vietnam War Mod, has a while ago celebrated its full release on Steam Workshop, with several updates since. The package contains numerous new weapons, uniforms, vehicles, and several terrains, which makes it the ultimate go-to package for those wanting to re-enact historical combat situations in this 70s Vietnam setting. The mod is still often updated by its very active creators, and we fully recommend everyone to check it out. Visit the Steam Workshop page for more details on the project and feel free to contact the authors directly on Twitter to let them know what you think! There is one more piece of user-created content that we would like to feature today: a story-driven mini campaign made by a community veteran lexx. In Callsign Minotaur, you play as CSAT as you provide perimeter protection and counter-insurgency training for the Republic of Altis and Stratis's government forces. This all takes place about one year before the events in Arma 3's "The East Wind" campaign. While it's not official canon, the mini-campaign tries to fit into the 'Armaverse'. This is an easy recommendation for singleplayer enthusiasts, so be sure to grab it from the Steam Workshop! At the very end of last year (2017), we introduced fully modeled interiors for armored vehicles to our Dev-Branch players for the first time. This week we upgraded those with a new solution to driver optics. Instead of the previous, and not-so-visually-appealing black box, the in-optics view now better corresponds with the rest of interior that will surround the player. We believe this solution is more immersive and provides some nice opportunities for certain community solutions. Over the course of the next few weeks, we plan to introduce more interior-supported vehicles to Dev-Branch, and these driver optics will be part of those as well. Every now and then, one of the Arma 3's many amazing community groups strikes us with a cool recruitment video or 'armachinima' from one of their operations. Joint Strategic Defense Force did just that! 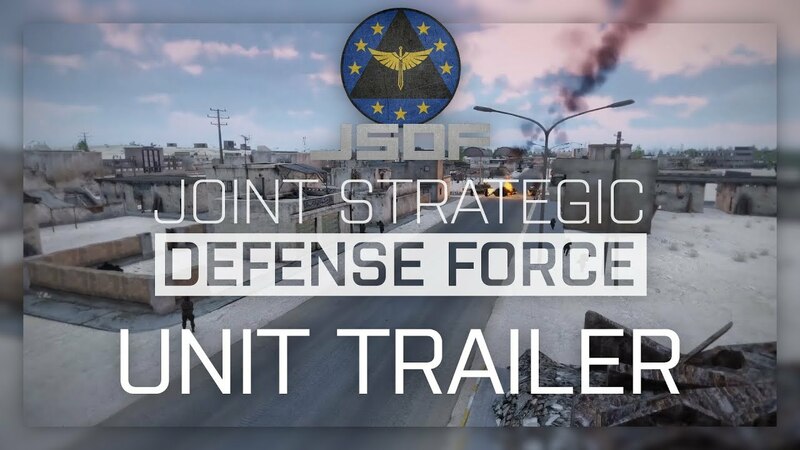 In their Unit trailer, they present their approach to mil-sim operations in splendid fashion. Visit their web page and / or Steam Group for more information, and to get in touch with JSDF leadership about the possibility of enlisting for their unit. As became tradition over these past four years, the start of a new year usually meant that we would publish a new development roadmap for Arma 3. Here we'd provide an outline of our plans that year, and shortly introduce the planned major products and updates. However, with Tanks DLC on the way, we have yet to complete our current roadmap (Tanks DLC is on track to be released towards the end of Q1 2018). Beyond that, we feel it's important to already make clear that most of Arma 3's development team will start to transition onto other projects here at Bohemia Interactive. That means you should not expect any major new DLC or platform updates after Tanks DLC. Of course we'll most definitely not be abandoning the game. There will still be continued support for the game in the form of fixes and improvements. and we intend to share more information about the exact scope of this at a later date. Besides that, as mentioned before, we're currently also exploring the possibility of publishing third-party DLC for Arma 3 to Steam, which - together with the very active community and modding scene - makes it a certainty that Arma 3 will remain relevant for many more years! Some of our players may have noticed that our web pages and online services are now hosted on a different website domain: bohemia.net (previously it was bistudio.com). To make sure everyone will still find what they need, all previously used URLs should automatically redirect to the new pages. The goal of this change is to use a domain that is easier to remember and better matches our company's progress throughout the years. Let us know if you encounter any issues!